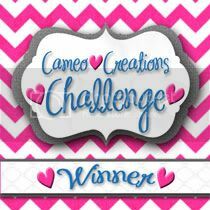 Cameo Creations Challenge : Giveaway winner!! 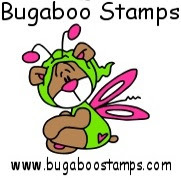 Suzy's Crafts is the winner of the $30 giftcard! She is a follwer and a Facebook friend! 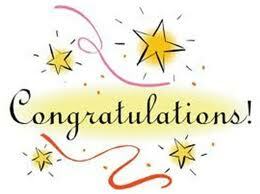 More giveaway's to come real soon! We had so much fun with this one! 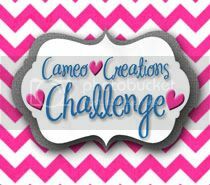 Don't forget there is still time to enter the sketch challenge, you have a week left to enter.